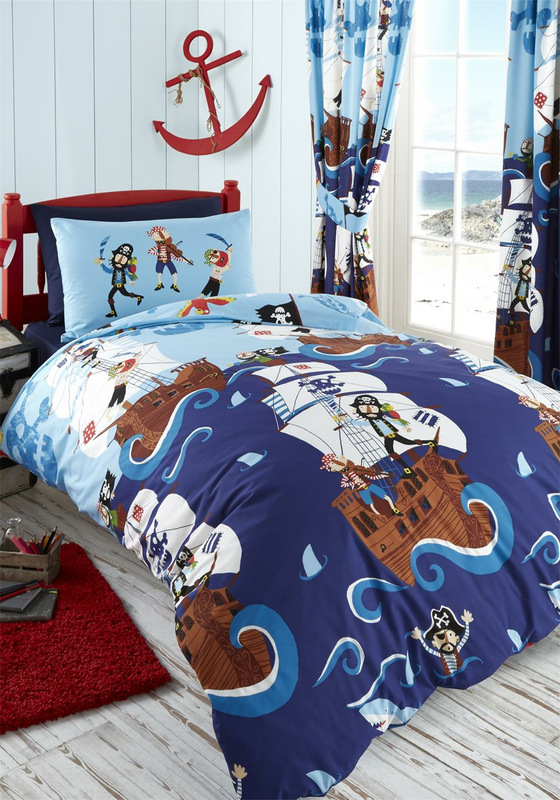 Your little Pirate will feel nice and cosy at night with his Pirate beddingfrom Kids Club. This set includes the duvet cover and pillowcase(s). 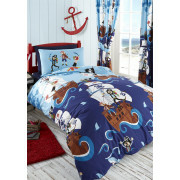 The duvet cover features a display of pirates, some on board the ship others have fallen off into the sea.